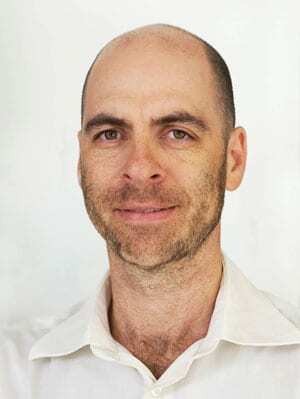 Journalist and TV documentary-maker Dan Goldberg is on his way to South Africa to film the Soccer World Cup…but not the one keeping bleary-eyed Australians up each night. The Festival for Hope is a FIFA sponsored event which will take place in Johannesburg coinciding with the last week of soccer World Cup. 32 teams made up from underprivileged teenagers from around the world will participate in a tournament in which there will be no referees. North One Australia will produce the documentary being made for Foxtel with finance coming from corporate, charitable and government funds. Teresa, 17, is an orphan from Sudan who grew up in a refugee camp in Kenya. There she met another 17-yr-old girl, Yom, and they became close friends. They were separated but, years later, reunited … in Australia at Football United. Another kid, Mekhaled, is from a Kuwaiti Bedouin family. They were ordered to leave during the 1991 Gulf war. They went to Iraq but were not accepted there either. Then to Jordan, where they found no refuge. Onwards to Syria where the kid grew up until, finally, Australia offered them refugee status. There’s a girl from Bhutan, Hemantha, but she has never set foot in her homeland. She grew up in Nepal with thousands of other Bhutanese exiled by the king. And so it goes. What these kids have endured is harrowing. Now they are representing Australia at the World Cup – it’s a remarkable story…made possible by the foresight and fortitude of Anne Bunde-Birouste. Last year, Goldberg made “Outback United”, a documentary on how football is impacting on the lives of Australian indigenous children.